I love to hear from my blog readers! And it always seems to make my brain run in a million different directions trying to explain how I deal with diabetes and how I speak to people (in real life) about managing my diabetes. One question I wanted to ask was regarding the media in the US (we’re in Australia). Over here there has been a fair bit of media attention focused on preventing diabetes or its cure. The media are referring to Type 2 but never say this, they just refer to diabetes in these stories. It’s starting to drive me a bit nuts because I know they are talking about Type 2 but they just won’t differentiate between the two types. One example was a study focusing on women in their 50s and 60s and wine and dark chocolate making a difference. ARGH. I think this confuses people because we’ve had people ask us how our son caught it, will it go away and some comments have made us think that people think we could have prevented it. Does the media in the US differentiate between the two types? And your post regarding the friend’s grandma resonates with me. Everyone seems to think like that. It doesn’t matter if you live in Australia, USA, Japan or Switzerland, people generally have an ignorance between to differences of type 1 and type 2 diabetes. People just don’t get it… unless they have someone close to them that is dealing with type 1. (No offense to the type 2’s out there, but many times, your ignorant relatives/friends are the worst one’s to have a conversation about diabetes with. They think they know everything about diabetes, when they don’t even know which type of diabetes you have!) I deal with these same struggles of people’s ignorance of the differences between type 1 and type 2 almost on a daily basis, and that is one of the main reasons I started this blog — to bring attention to those t1ds who are in the “diabetes world” for life — not just until we fix our diets or loose some weight. I recently flipped out on somebody on instagram for their ignorance. He had taken a photo of an older woman, who had a cart full of a different variety of sodas, said something along the lines of “Spending $63 on soda is ridiculous. #diabetes” Now I know I am not the only one who would flip out on him, and I am not causing drama. Honestly, I can’t even remember his instagram account name (but you can find/follow me @MissCallaNicole). But his ignorance pissed me off!! Seriously, if you learned the facts, you would understand that diabetes is not caused by drinking too much soda, or eating to much candy, or junk food. Whatever you want to “blame” it on — it’s just not how or why I was diagnosed with diabetes. These is the ignorance of a majority of people. Once I mentioned that, he got upset and claimed to know two people with type 1 diabetes. His friend’s daughter and his cousin or something. It’s not like it really mattered who it was that he knew that had type 1 diabetes, he clearly still doesn’t understand the differences between type 1 and type 2. Type 1 diabetes develops usually when you are a child, or at a younger age (and younger, I mean generally before age 25, but there are PLENTY of exceptions). You may hear type 1 diabetes referred to as “juvenile diabetes” or “childhood diabetes” simply because of the age most are when diagnosed. Not all type 1 diabetics are children though, everyone grows up! The bodies of those who are diagnosed with type 1 no longer make insulin, which breaks down glucose (sugar) after it enters our body through foods & drinks. After eating, the pancreas should automatically releases an adequate amount of insulin to transport the blood glucose into the cells, which results in lower blood sugar levels. Those with diabetes do not have any insulin, or not enough for their body, resulting in high blood sugar levels. Type 1 diabetes have to take insulin shots, or use an insulin pump in order to survive. Type 1 diabetes is manageable with insulin, but it is not a cure for type 1 diabetes. Only about 15% of all diabetes patients have Type 1. In type 2 diabetes, the body does not respond correctly to the insulin. The vast majority of patients who develop Type 2 did so because they were overweight and unfit, and had been overweight and unfit for some time. This type of diabetes tends to appear later on in life. However, there have been more and more cases of people in their 20s developing Type 2, but it is still relatively uncommon. Type 2 diabetes can be managed by diet, taking pills, or in worst case scenario, taking insulin. Approximately 85% of all diabetes patients have Type 2. I hope you can now understand why I (and so many others) get extremely frustrated for people’s ignorance. 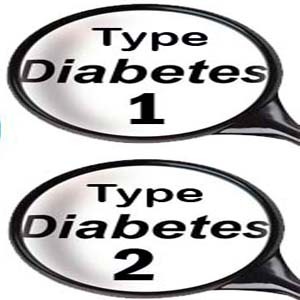 There is a huge difference between type 1 and type 2 diabetes. 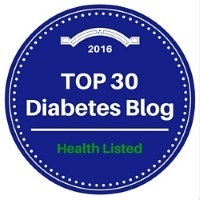 I am a type 1 diabetic, and proud to share my thoughts about it. I constantly live on a roller coaster of high blood sugars and low blood sugars, and I struggle to find the “happy” middle ground. Those with type 2 diabetes do not know what it is like to have a low blood sugar… and I believe that is one of the hardest things to avoid being a type 1. I commend you for getting your feelings out and standing up for people bullying those with diabetes online. I think that was brave of you. I want to challenge you though, only because I used to be where you are emotionally on this subject. I used to demand that people know the difference because I didn’t want to get lumped in under the ‘diabetes’ negative connotation umbrella. What I learned is that even though I didn’t do anything to deserve diabetes, people with type 2 didn’t do anything to deserve it either. Creating and preaching a strong exclusive dichotomy really hurt people with type 2 diabetes. I am telling you this because I used to do it and I never saw anything wrong with it. I feel your pain, sincerely, I do. I spent years and years telling everyone who asked me what my pump was exactly that. I shamed people with type 2 diabetes because I didn’t understand them and I didn’t want to. This isn’t my first confession, but it is my first time suggesting it to another t1d directly. What if the DOC as a patient group could find a way to raise awareness and advocate for better things diabetes without shaming the huge group of also innocent T2 people by contrasting them to ourselves? I understand and support where you are right now, because it took me miles of writing and reading to get where I am on this issue. Like you, I am moving through this online space sharing my voice and you inspired me to speak. Thank you for writing this bravely. If you are on twitter, there is a great group of PWD gathering every wednesday at 9pm EST under the hashtag #dsma. It would be great to hear your voice in the chat sometime.